Improves skin cell renewal and facilitates younger looking skin. 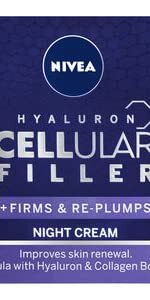 Formulated with Hyaluronic Acid & Collagen Booster. Wrinkles are filled & skin volume is increased. 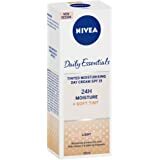 Use as part of your daily skin care routine for younger looking skin. 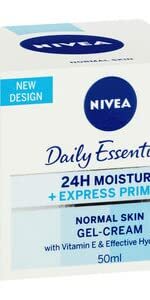 Building on 100 years of NIVEA skin care expertise. 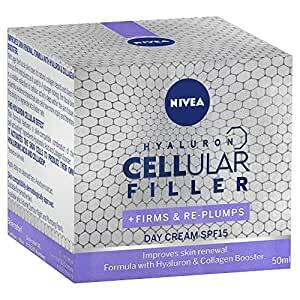 NIVEA Hyaluron Cellular Filler Day Cream firms & re-plumps. Instantly and with regular use, this formula fills wrinkles leading to younger looking skin. Suitable for all skin types. Visibly plumps, fills and firms skin. 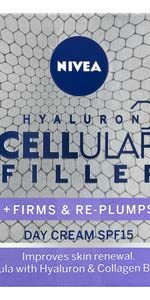 Improves skin renewal with Hyaluron & Collagen Booster. With age the facial skin loses its natural collagen depots and doesn't look as firm and plump as it used to. A younger looking, firm facial skin is a visible reflection of cellular activity deep within the skin tissue. Scientific evidence shows that skin cells have more vitality and therefore the ability to regenrate at a faster rate. 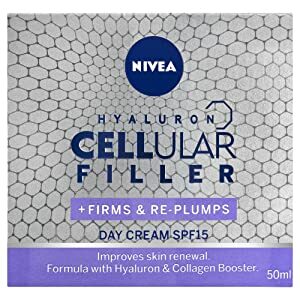 Containing short-chain Hyaluronic Acid, Magnolia Extract and Creatine, NIVEA Hyaluronic Cellular Filler Anti-Age Moisturising Day Cream accelerates skin's own cell renewal – an indicator of cellular vitality and youthful skin. 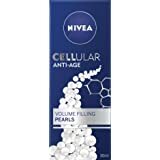 NIVEA Cellular Anti-ageing cream range will re-ignite your skin's youthful look. 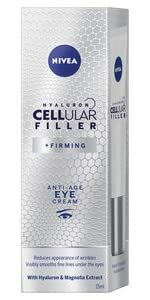 The formula with Hyaluronic Acid and Magnolia Extract reduces wrinkles, increases firmness and improves skin renewal. 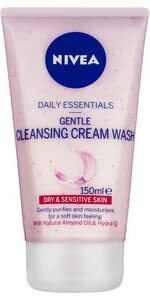 Apply daily onto cleansed face. Avoid eye contact. For best Face Care results we recommend... Deeply cleanses and keep skin's moisture balance. 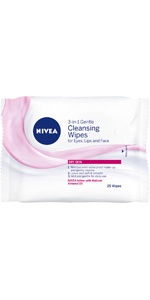 Daily Essentials 3-in-1 Gentle Facial Cleansing Wipes remove even waterproof make-up. 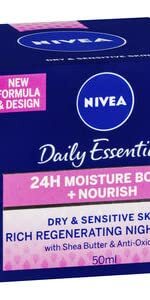 Moisturises & provides a smooth base to apply make-up. Intensively moisturises & regenerates skin overnight for smooth feeling skin in the morning. 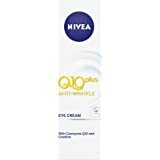 With regular use, wrinkles and lines around the eyes are visibly reduced. The caressing texture replenishes your skin with intense moisture and leaves it feeling smooth and silky. 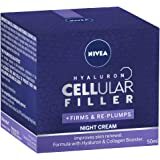 NIVEA Hyaluron Cellular Filler supports women in feeling confident in their skin, as it helps the skin to help itself by stimulating the skin cells to produce their own hyaluronic acid and collagen. The result: a youthful look – that is a visible reflection of cellular activity which, amongst other things, results in wrinkles being filled – and a clear improvement in the skin’s firmness – for younger looking, firm facial skin. In skin, hyaluronic acid is known as a hydrating bioactive ingredient, which binds large quantities of water together to aid in skin repair. It has the ability to hold up to 1,000 times its weight in water within the cells of the skin. When applied to the skin, it strengthens the outer layers of the skin to create a healthy barrier, for softer, younger, firmer and more plumped up skin. Levels of hyaluronic acid decrease in our bodies as we age. Skin slowly loses water, has less firmness and its structure softens. 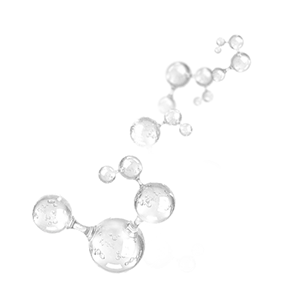 It is estimated that by the time we reach our mid-40’s, the production of hyaluronic acid is roughly half of what the body requires for adequate moisture retention. That's why it's important to replenish hyaluronic acid as we age. We can understand collagen by thinking of it like taut ropes that build structure; it provides the basis for our dermis and therefore for the middle layer of our skin. Up to 80 percent of the dry weight in the dermis is collagen, which makes it especially important for firmness. Collagen works to give the skin strength, firmness and shape. Over time, ageing can deplete the skin of Collagen, so it’s important to find a way to replenish the skin’s reserves. 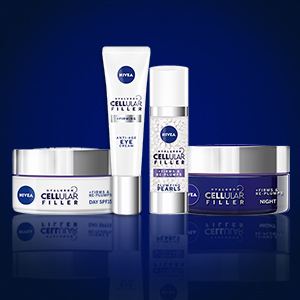 For exactly that reason, we’ve developed CELLULAR products at NIVEA that stimulate cells to self-create more collagen. Instantly and with regular use, this formula fills the wrinkles. Its powerful actives activate skin cells own production of hyaluronic acid and collagen. 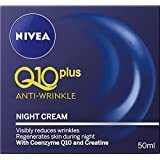 Especially developed to support the skin's own ability to improve its volume during night, when its self-regenerating capacity peaks. Instantly and with regular use, this formula fills the wrinkles. 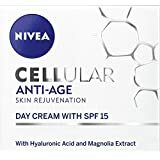 NIVEA Cellular Anti-ageing cream range will re-ignite your skin's youthful look. 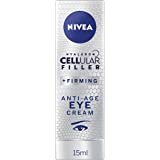 Reduces fine lines under the eye. 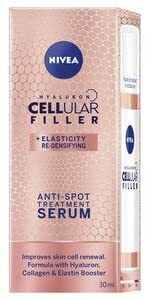 Reduces the appearance of wrinkles, noticeably firms and improves skin renewal with Hyaluronic Acid and Magnolia Extract.